The Royal Australian Mint has released coins in its Lunar Series to celebarte the Chinese Lunar Years. 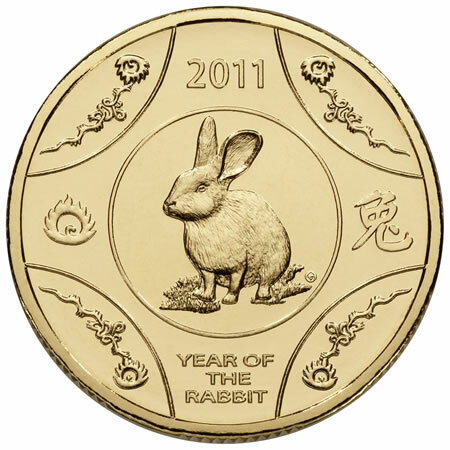 With a total of 12 years in the cycle, the 2011 coin celebrates the Year of the Rabbit. Those born in the year of the rabbit are born in 1927, 1939, 1951, 1963, 1975, 1987, 1999 and 2011. People born within these years are said to have the following personality traits; affectionate, obliging and pleasant to be around. They are also cautious, conservative, bright and have a good head for business. 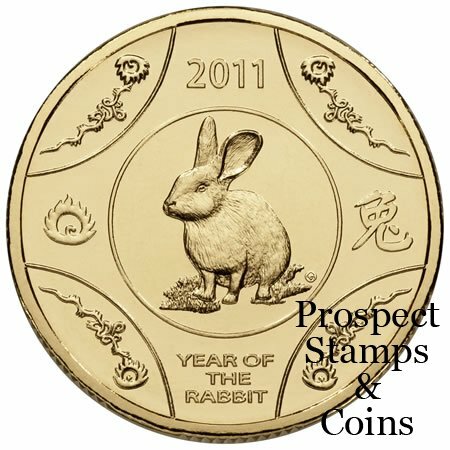 The coin design represents a rabbit surrounded by chinese inspired patterns this includes the Year of the Rabbit chinese character, this also appears on the outer packaging.